Step Twelve completes this part of our journey. Through this process we’ve been changed, we have experienced a spiritual awakening, our lives are now an expression of God’s will. As we go about our daily life we look for ways to demonstrate this new confidence, showing our commitment to recovery and our growing awareness of God’s presence in our lives. Sharing our life experiences is sometime difficult, we must be sensitive to whom we tell our story and how much we share. Not everyone is ready to hear our recovery story. Practicing first with an accountability partner or sponsor is always good. The more we tell our story, the easier it gets. And with that ease, the emotional pain that we may carry today will be relieved. Though much progress has been made we haven’t completed our journey to wholeness. That won’t happen in this world. But as we continue our growth we must daily be aware of the principles that will enhance our walk with God. 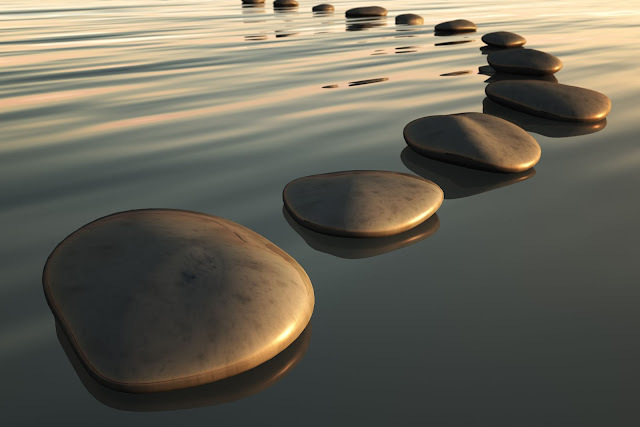 Each of the Twelve Steps is a vital part of fulfilling God’s plan for our life. And as we experience daily challenges that try to pull us away from God, we must use the steps as tools for coping rather than falling back into old patterns. Step One ~ Reminds us of our powerlessness. Steps Two and Three ~ Show us our ongoing need for God’s help. Steps Four through Nine ~ Guide us through self-examination and making amends. Steps Ten and Eleven ~ Help us avoid slips and keep us in touch with God. Step Twelve ~ A milestone showing our commitment to God’s will for our recovery. The most important part of Step 12 is the hope rooted here. By sharing our story we give others hope for freedom from addiction. It’s possible for life to be good again. As we prepare to tell our story, we shouldn’t compare ourselves with others. It’s not having some big dramatic story that give it value; it’s the end of the story that counts. Post reminders around the house related to spiritual growth. In my role as a wife, mother, writer, minister and now grandmother, the tools of my work, whatever that work may be, play an important part in my spiritual growth. Here’s what’s on the reminder card I keep posted in the kitchen. It’s adapted from St. Benedict’s Rule of Order. Go forward now, intentionally pressing into each day, committed to give and do your best. Trusting God is by your side, changing you into the new creature He designed you to be. Don’t not tell your story. There is someone who needs to hear it. Anyone can argue theology or doctrine. But who can argue with what God has done in your life? No one! Previous PostPrevious Coming in December on Reaching Hurting Women!